The third edition of the Pakistan Super League is set to be a grand affair with many more foreign cricketers showing their interest in the league. Last year it took place at The Dome, Dubai Sports City and by the end of it, about a 100 players were either picked afresh or retained from the previous season. This year will be no different and Geo Super TV channel is set to broadcast the PSL draft live on November 12, 2017. 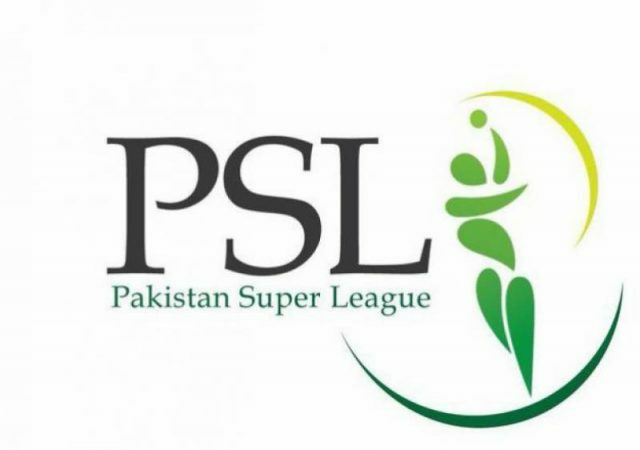 Teams have already signed up for nine players each and a further of 501 cricketers will be a part of the PSL Draft that will be held on Sunday, November 12. The likes of Adil Rashid, Angelo Mathews, Carlos Brathwaite, Chris Gayle,Chris Lynn, Colin Ingram, Colin Munro, Dwayne Bravo, Imran Tahir, Jimmy Neesham, JP Duminy, Luke Ronchi, Mitchell Johnson, Mitchell McClenaghan, Mustafizur Rahman, Shane Watson, Thisara Perera and Wayne Parnell are all part of this Draft among overseas players. You can find all the latest PSL Squads for the 2018 edition here. Lahore Qalandars will be allowed the first pick. This will be followed by Islamabad United, Karachi Kings, Quetta Gladiators, Peshawar Zalmi and Multan Sultans. Trades could be allowed and as a result, the order could be changed. Platinum category players will earn anywhere between $140,000 and $200,000 while Diamond category players have a minimum price of $70,000 attached with them. Gold category players will be signed up for a minimum of $50,000. The Silver category players have a minimum cap of $22,000 whereas the emerging category players could get at least $10,000. How to watch the PSL Draft Live Streaming Online? Most likely, the draft will be broadcast live online on YouTube. Details will be updated here as and when released by the PCB. Karachi Kings won’t be picking in the first round of the Emerging Round and will bring in a player at the end of their talent hunt program. The retention and trading window for the 2018 Pakistan Super League opened on July 12 and teams were given an option of retaining up to nine players in the team. Teams are also now allowed to sign up new players directly. All new players must enter the players draft to get picked. So the five teams from the previous two seasons were allowed to retain two players each from the Platinum, Diamond, Gold and Silver category, and 1 from the Emerging category to make it nine retained players at the maximum. The sixth and the newest side in the competition, the Multan Sultans were allowed to pick nine players from each of the five categories in the pre-draft. What this means is that they will only have the right to those players which the first five teams do not retain in their squads. While this could make it tougher for the side from Multan, it looks like a fair way for the old teams to retain some of their old flavour in the team – a way by which they can build around their brands. The owners were allowed up to October 5 to pick up the players they wanted to retain and every team retained and traded in a total of nine players apiece. The rest of the players were released by the franchises into the PSL pool, for the new team, Multan Sultan to pick before going into the PSL 3 Draft. The sixth side, Multan Sultans picked the following nine players – Shoaib Malik, Kieron Pollard, Kumar Sangakkara, Sohail Tanvir, Mohammad Irfan, Junaid Khan, Sohaib Maqsood, Irfan Khan and Kashif Bhatti. Mohammad Hafeez, Wahab Riaz, Shakib al Hasan, Kamran Akmal, Darren Sammy, Hasan Ali, Haris Sohail, Chris Jordan, Mohammad Asghar.